​Find Out How You Can Help! ​the proper ID they need in order to meet their basic needs and participate in the community. One ID Columbus can change that. 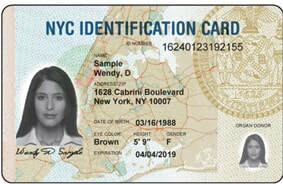 This is a picture of the ID card used in New York City. Please Call 614-220-9363 For More Information!